Hi yogis, Happy Monday! Looking for something healthy to do other than drinking yourself blind with green beer on Saturday? Well I've got something fun for ya! Reserve a seat NOW to see Anupy Singla conduct a cooking demo at the Bloomingdates Home store! 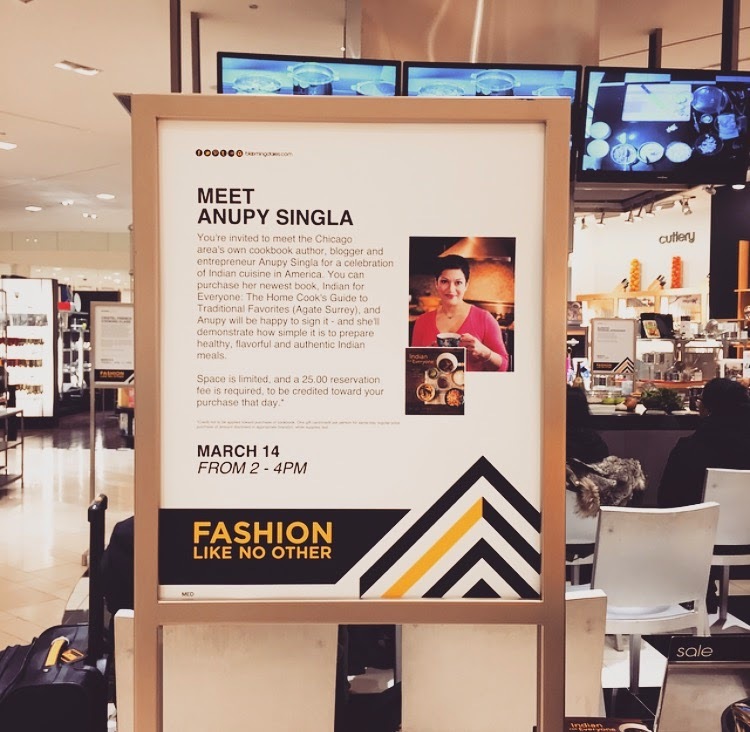 You're invited to meet the Chicago area's own cookbook author, blogger and entrepreneur Anupy Singla for a celebration of Indian cuisine in America. You can purchase her newest book, Indian for Everyone: The Home Cook's Guide to Traditional Favorites, and Anupy will be happy to sign it - and she'll demonstrate how simple it is to prepare healthy, flavorful and authentic Indian meals. Space is limited, and a $25 reservation fee is required, to be credited toward your purchase that day. * 10% of tracked purchases made today will be donated to Public Allies. ** *Credit not to be applied toward purchase of cookbook. One gift card/credit per person for same-day regular-price purchase of amount disclosed in appropriate brand(s), while supplies last. **Must request a duplicate receipt with purchase.